We kick off the MotoGP of Thailand by bringing to you some top names in MotoGP. Last year we featured one of the most outspoken riders in MotoGP - Scott Redding - together with probably the top Moto journalist working in MotoGP today, Manual Pecino. The lineup in 2019 will be of similar quality. Other guests will certainly drop in as we enjoy beer, wine and scrumptious Thai food at our hotel in Buriram. 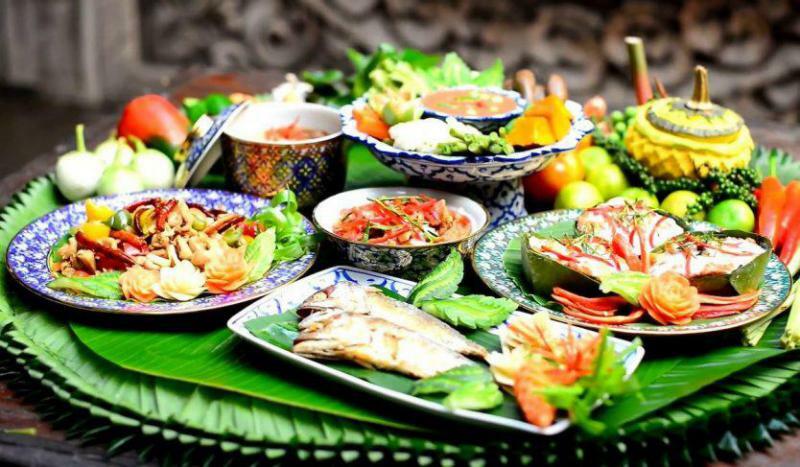 Join us for a special night celebrating the best of Thailand - the food! We occupy a local Thai restaurant and get a mini-tour of some of the wonderful cuisine, washed down by Thai beer, Thai wine and more... It isn't fancy, but it is a load of fun! We usually invite a rider or two to join in. Takes place in Buriram, only open to package guests in Buriram. Price includes food and all beer/wine/soft drinks (to a generous limit...) Additional drink and spirits are on you. Don't miss our Friday opening dinner in Buriram! Featuring star speakers from the paddock, beer, wine and great Thai & Western food, this is included in all packages, we have limited space for others. Sunday night we feature a closing dinner at all our packages. This is not open to non-package customers. Other activities may be announced. If you are coming first to Bangkok we are happy to make arrangements for you for accommodation in Bangkok, transfers to Buriram and suggested activities. Please contact us for a tailored itinerary.